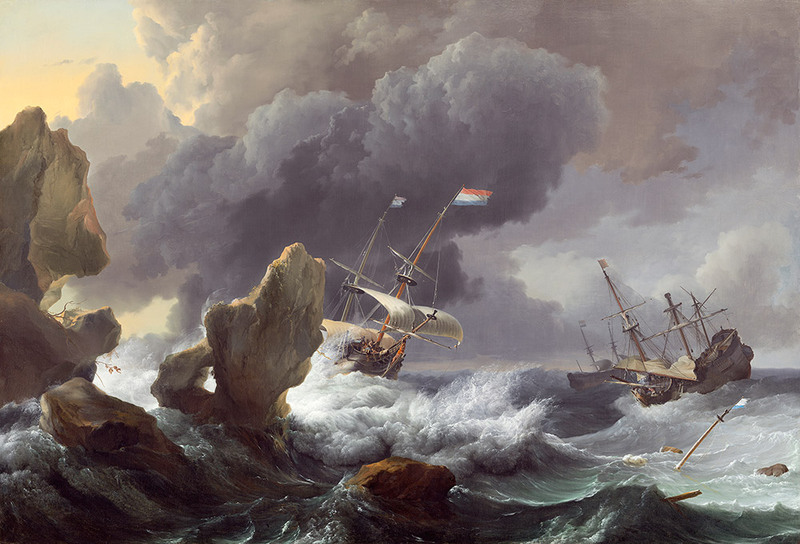 This painting by Ludolf Backhuysen depicts three Dutch cargo ships. Backhuysen, German-born, moved to Amsterdam in 1649 to study marine painting. During the last quarter of the seventeenth century, he was Holland’s leading seascape artist, with royal and noble patrons throughout Europe.